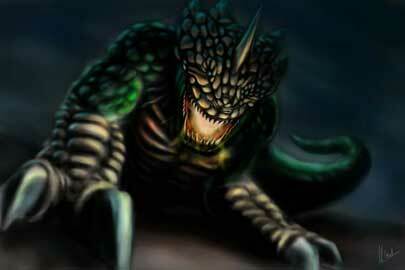 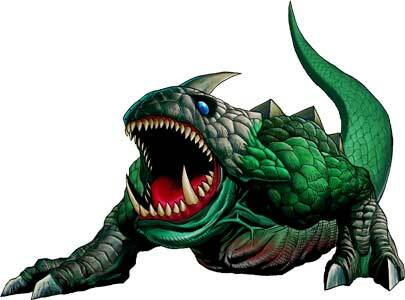 The Dodongo is a recurring Boss and Enemy in the Legend of Zelda series. 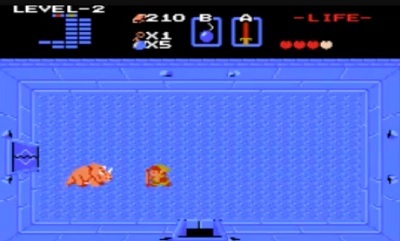 The first time Link encounters one of these foes is in the classic Legend of Zelda (1986), where the Dodongo debuts as the boss of the second Dungeon (The Moon). 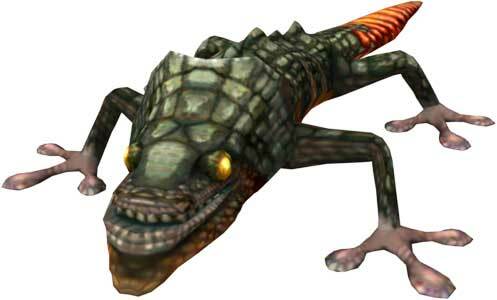 In later Zelda games like Zelda: Ocarina of Time (1998) they are enemies in the Dodongo’s Cavern while the boss there is a bigger Dodongo known as King Dodongo. 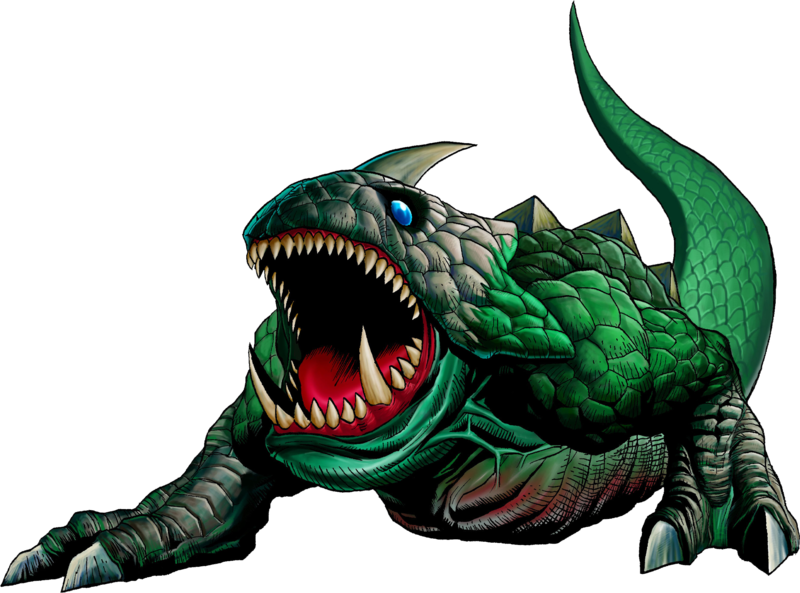 They returned as bosses in the handheld Zelda games Oracle of Ages & Seasons (2001) and in Zelda: Four Swords Adventures (2004) on the Gamecube. 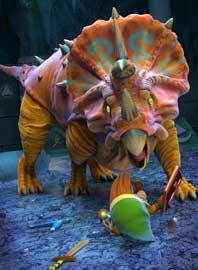 While their designs changed drastically from being based on the Triceratops Dinosaur to more Lizard and Crocodile like Forms, their big weakness, stayed the same through the series. Bombs are the best attack against them.